The post was guest blogged by Brian Schiff from Athletes’ Performance at Raleigh Orthopaedic in Raleigh, NC. Soccer is a growing sport among the youth in our country today. Notably, more female athletes are choosing to play soccer. With this added participation, it is inevitable that more injuries will occur. Many of these injuries are linked to physical training and conditioning. 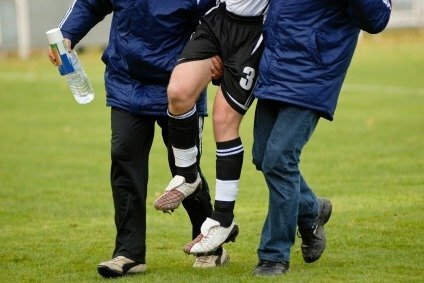 The most common injuries in soccer typically involve the ankle, knee and hip region. Such injuries include ankle sprains, knee ligament sprains, meniscus tears, and muscular strains (hip and groin). ACL injuries are now reaching epidemic proportions, especially in the female soccer athlete. Research has indicated that proper training programs can and do reduce ACL injuries and will help prevent other sports related injuries. Much of the research has indicated that strengthening, jump landing technique and agility training affect the risk for this type of injury. The following list will outline how to effectively reduce common soccer injuries. Perform a periodized year round strength training program with special emphasis on balancing the muscles of the leg and targeting the core muscles (low back, abdominals and hip). course of a match. Fatigue late in the match can lead to injury. Perform routine stretching to prevent muscular imbalance and tightness. This refers to static stretching that should be done after a suitable warm-up or at the end of practice. Perform supervised, carefully planned plyometric (jump) training to teach proper landing form and develop power. Incorporate dynamic balance training to teach body control and reduce ankle sprains and knee injuries. Take planned periodic rests from practice and play to avoid overtraining. Perform routine agility and quickness drills to improve footwork and cutting ability. Many ACL injuries occur with non-contact cutting movements and it is critical for athletes to cut on a bent knee and be able to control their momentum during change of direction. Perform a dynamic warm-up prior to practice and games that effectively simulates sport specific movement. These activities will better prepare the body for the demands placed upon it during competition. This can be further broken down into general and specific functional warm-ups. Perform yearly pre-season physical screening evaluations with an athletic trainer or physical therapist to assess any musculoskeletal areas of weakness. Perform pre-season, in-season and post-season fitness testing to assess training methods, performance and conditioning. This protocol will allow the coaches to adjust training volume, intensity and modalities to ensure that their athletes are peaking at the right time and not training improperly. All of these suggestions are important in developing complete athletes and preventing common injuries. They will not prevent all soccer injuries, however, they will greatly reduce the risk potential and enhance athletic performance. The ultimate key to injury prevention is understanding the sport of soccer and developing a program designed to address its demands on the body. Brian Schiff, PT, OCS, CSCS, is a licensed physical therapist, board certified orthopaedic clinical specialist, strength and conditioning coach, author, industry speaker and educator. Through his performance and consulting company, B Fit Training Systems, he offers training and education for consumers and allied health and fitness professionals. He graduated from The Ohio State University in 1996 with a Bachelor’s of Science degree in Allied Health Professions (Physical Therapy). 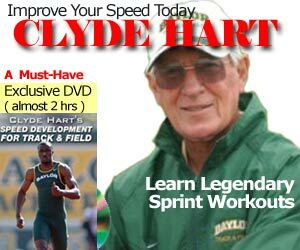 He became a Certified Strength & Conditioning Specialist through the National Strength & Conditioning Association in 1998.